When entering the Thursday night matchup against the Colts, Tom Brady only needed 3 touchdown passes to become the third player in NFL history to reach 500 career TDs. Midway through the fourth, Brady tossed up what looked like a desperation type throw into the endzone. What at first looked like a potential interception, became a fantastic debut 34 yard touchdown by Josh Gordon. When the play first began, Brady had plenty of time as the offensive line was setting up a great opportunity for a shot downfield. Brady scrambled out and heaved a shot downfield in the direction of a double-covered Josh Gordon. Reading the ball perfectly, Gordon stepped up between the two defenders and made a fantastic catch for his first touchdown as a Patriot and Tom's 500th. 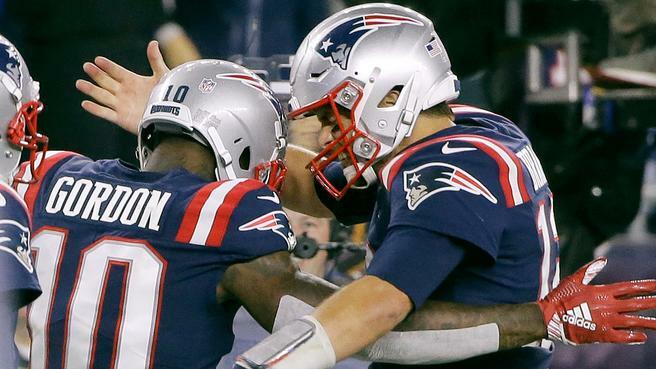 The offense seems to be clicking significantly better now than early on in the season, with Sony Michel putting up another stellar run game and the return of Julian Edelman played in right away as he hauled in 7 catches for 57 yards. The Pats have a long week to rest and prepare for a tough Sunday night game against the Kansas City Chiefs.